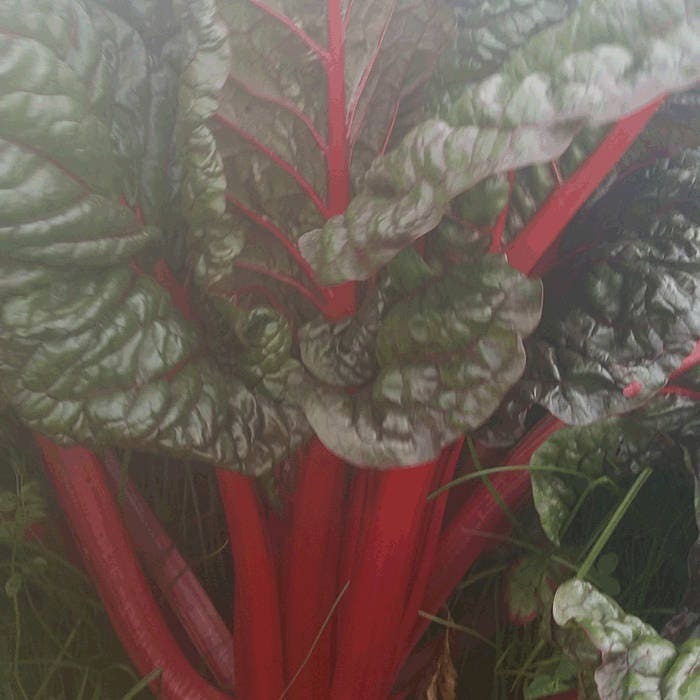 This vigorous and beautiful chard keeps its tender delicious taste even when the leaves grow huge, and they do. The wide stalks and leaf veins are bright magenta red. Leaves are deep green, or on some plants, dark maroon. Holds its own in ornamental plantings as well as in semi-neglected garden corners. Cold and heat tolerant – always looks good. Many thanks to Sharon Casey of Towani Organic Farm in Oroville, California, for saving seeds of this magnificent heirloom for all the years it was not available anywhere, and for passing the seeds along so Charlotte Chard can once again find the appreciative gardeners it deserves.